Our company is offering reliable Rail Ticketing Booking Services in Panaji, Goa to our valued customers. 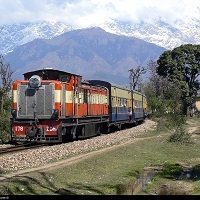 We offer rail-ticketing services that involved General Quota as well as Tatkal Quota as per our clientele. Our expert travel planners ensure your Rail ticket booking in accordance to your travel plan and convenience and liaise with respective agents to make your travel pleasant and safer. Just connect with us and share the general details, as destination, number of travelers, tickets to be booked, and the preferred travel class and our travel experts will manage the rest of the bookings. We also claim proficiency in making urgent bookings and last minute bookings, according to your needs.